There is never enough time in the school day to learn as much as we'd like, so I invite you to continue your learning at home using the resources below. Watch this interesting science movie to learn about the unique animals and ecosystems in Australia. Watch this movie to learn about the everyday life as well as the sacred beliefs of two of Australia's indigenous Aboriginal tribes. 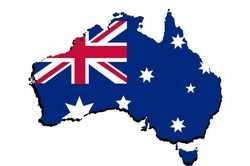 Click on the white location names on the map to "visit" some of Australia's most amazing sights. Learn about Brayden, a 12 year old boy who lives on a ranch in Australia. Click on the clocks to see what Brayden is up to throughout the day. How is life similar to your life? How is it different?